Richly colored flowers are bright red and floriferous, darker centers. 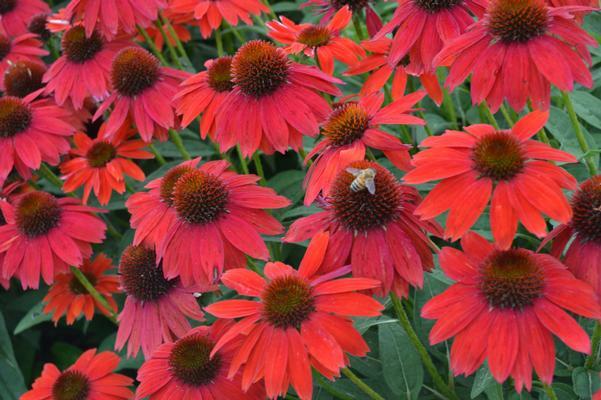 Photos just don't do this beauty justice, it is truly a red Echinacea. Nice compact form, too.